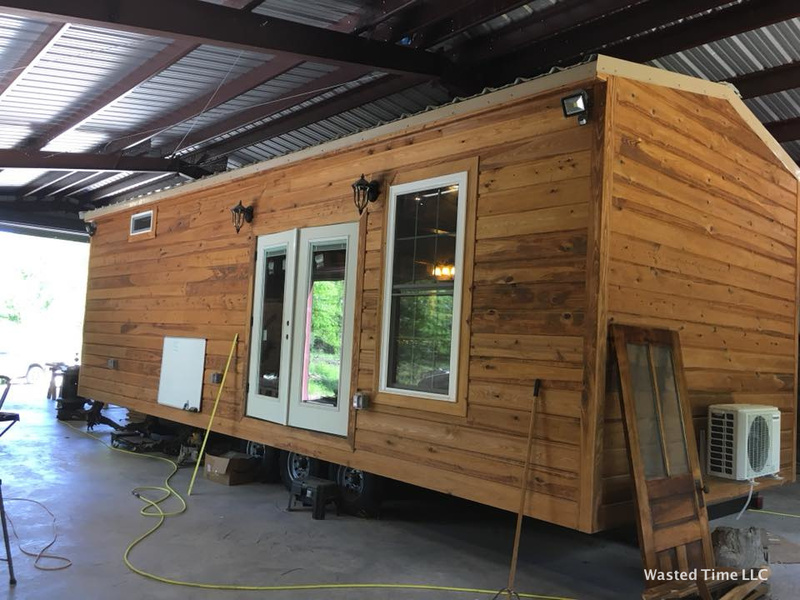 From Wasted Time LLC is this spacious cabin-style tiny house on wheels. 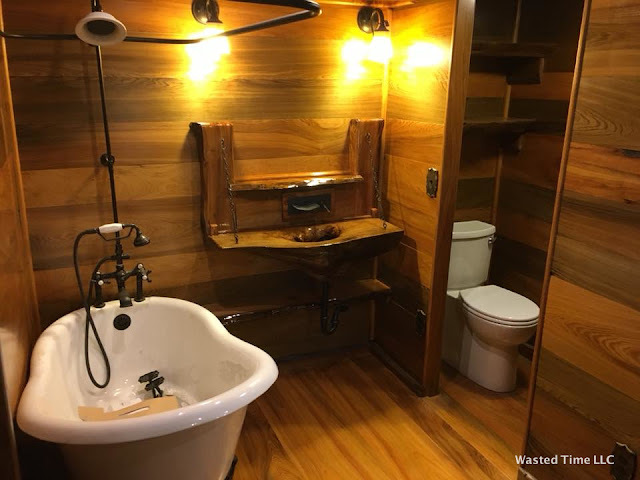 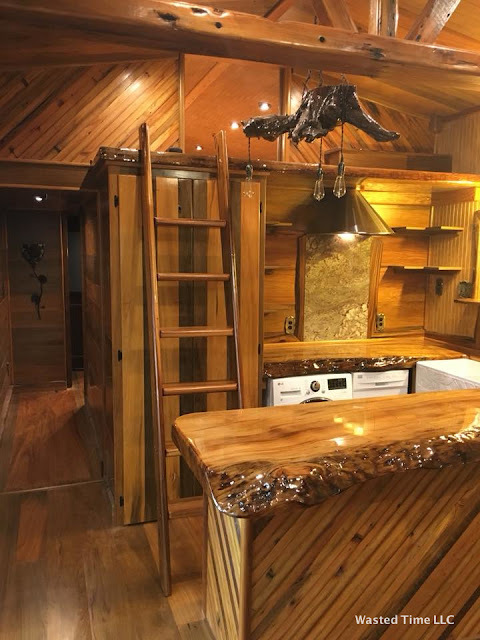 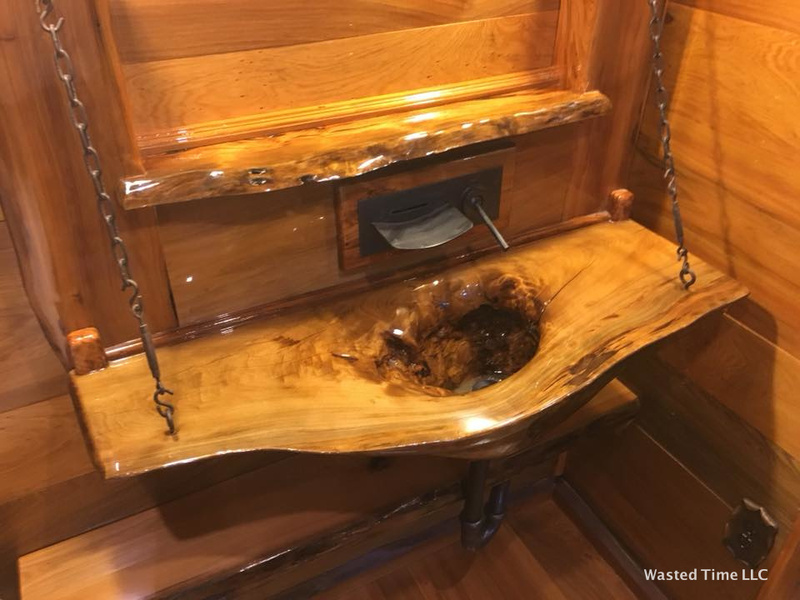 Featuring sinker cypress throughout the home, there's plenty of unique design details that make this tiny house one-of-a-kind! 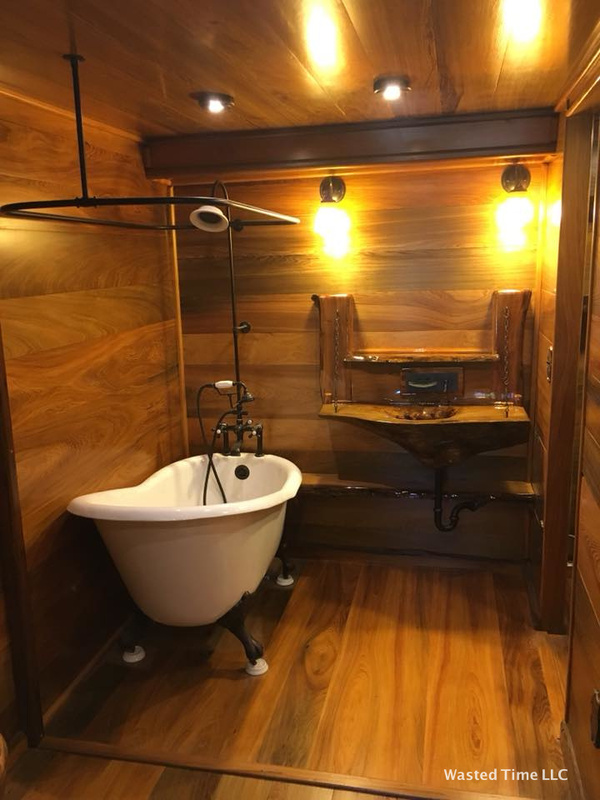 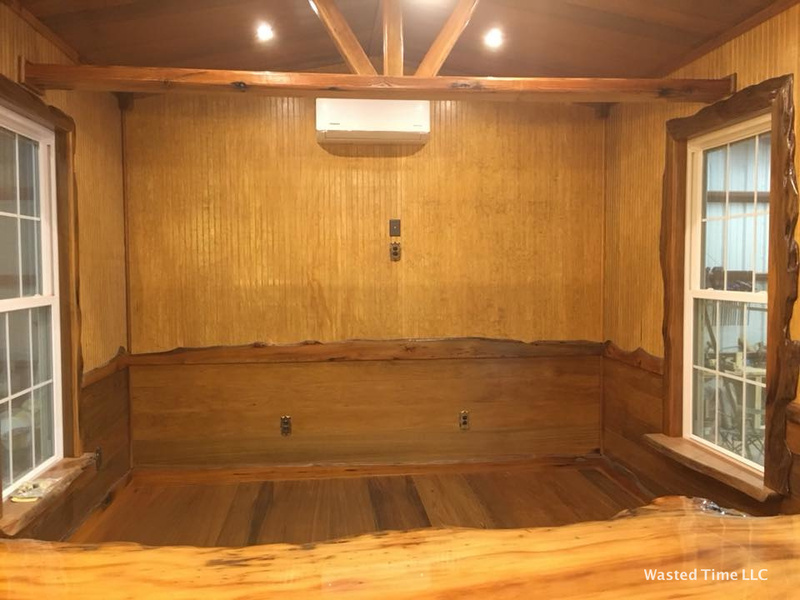 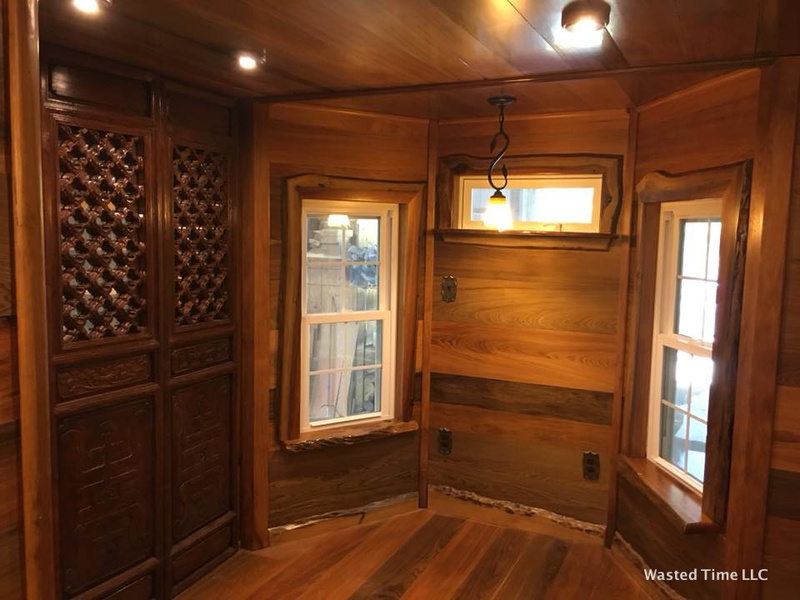 This particular tiny home was built to a higher end to a client's specification but to see a more affordable home from Wasted Tiny, check out this 28' tiny home!